Technology has only made it easier to find and use the deals, offers, and coupons that let us enjoy free meals, groceries, and more. 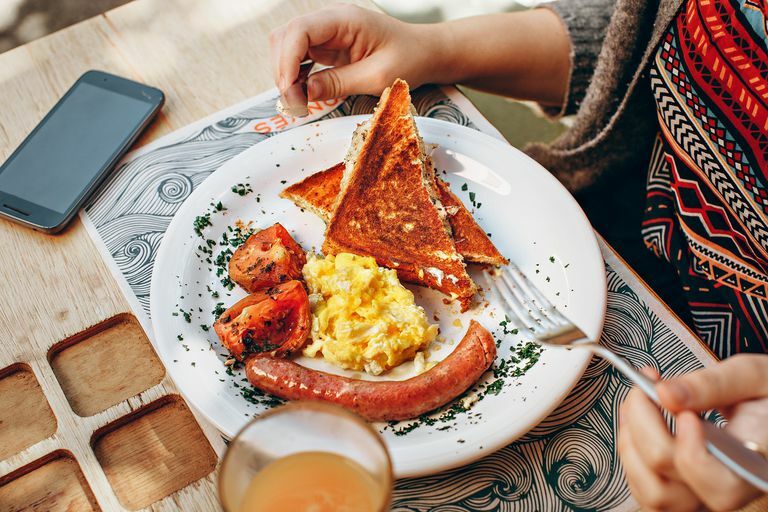 The sheer number of choices available can be overwhelming, but we've found some of the best examples of free food deals to help get you started. Whether you're looking for free groceries or meals, here's how to get free food online. The Wild Wing Café Wild Card Loyalty Club membership allows members to sign up online for a free rewards card. The first perk you get after signing up is a free appetizer. After that, most rewards are earned with a points system, in which every dollar spent at Wild Wing is one point and every 500 points earns you a $25 credit. Some perks, called Surprise Lottery Perks Prizes, are also available but offered at random. However, there's a limited selection of free appetizers you can choose from when you redeem your offer, and the appetizers themselves are pretty basic; foods like mozzarella sticks and pretzel bites. Furthermore, at the time you register online, if you don't already have a physical Wild Card rewards card, you may have to wait a week until you receive one in the mail before you can redeem your free appetizer offer; to redeem your offer, you have to present your Wild Card to your server. The Moe's Southwest Grill Rewards app for Android and iOS allows you to earn rewards with a points for purchase system, just like many other rewards programs. However, unlike many rewards programs, it offers you a free burrito on your birthday. While you have to wait until your birthday to get your free burrito, you still get a coupon for a free entrée when you sign up for the app and Moe's rewards program. It might be something like a coupon for a free nacho entrée with the purchase of a regular drink, meaning it's not completely free, but it's still an entrée for the price of a drink. Barista-made coffee can get expensive these days, so it's important to have a rewards card membership to help reduce the cost. The Dunkin' Donuts DD Perks app is nice because you can treat yourself to a free beverage fairly often: on your birthday, when you sign up for DD Perks, when you've earned 200 points, and even during random promotional offers rolled out from time to time. Offers for free beverages are easy to redeem — just have the Dunkin' server scan your DD Perks card on your app and the applicable offer will automatically apply. If at the time of sign-up/downloading the app, you're not already a DD Perks member, you may have to get a DD Perks card and load it with at least $5.00 before you can use your app and the free beverage offers. While you can't really get a totally free meal from Uber Eats, you can earn promo codes for $5 off to use on your purchases by just sharing your special Uber Eats code with your friends. So, instead of having to purchase food to earn rewards, you can actually get them for free and reduce the cost of your Uber Eats meals considerably. If you already have an Uber account, you can easily log in and quickly set up your Uber Eats account by using your phone number. With SampleSource.com you can try new food for free. Signing up is free and there's no cost to receive the samples you've chosen to try. Plus, you can get free samples of non-food items like makeup and cleaning products. All you have to do is evaluate the samples sent to you by filling out a survey sent by SampleSource. That said, samples deliveries are limited to Spring, Summer, and Fall months, and even then, it can take up to 4-6 weeks for your samples to arrive. Chances are, if you shop regularly at Kroger, you already have a Kroger Plus Card, the free rewards membership entitling you to lower prices in the store. If you have a Plus card, you may want to register it online on the Kroger website and/or download the Kroger app so you can take advantage of downloadable coupons, like the Free Friday coupon. The Free Friday coupon allows Kroger Plus Card shoppers to get one free item on Friday. It is usually a specific item listed on the coupon. Ice cream is always a happy treat, but it's even better when it's free! Signing up for the Baskin-Robbins rewards app entitles you to one free regular scoop of ice cream. Unfortunately, you have to wait 24 hours before you can use the free regular scoop coupon, and you still have to pay the sales tax. On the upside, in addition to the free regular scoop coupon, signing up for the Baskin-Robbins rewards app also gets you at least four other coupons that can help save at least a couple bucks on future dessert and beverage purchases at Baskin-Robbins. Signing up also entitles you to free ice cream on your birthday, if you provide your birthdate. IHOP's MyHop program is an online rewards program. The best thing about MyHop is it lets members have free pancakes for signing up, both on their birthday, and every year on the anniversary of the day they signed up. That's a decent amount of free pancakes. The coupon for the first set of free pancakes is sent immediately to your email address, within minutes of submitting you MyHop membership application. However, to redeem your coupon you have to print it out and hand it to your server. The separate IHOP mobile app doesn't seem to display or have any connection to MyHop offers and coupons. Olio is unique on this list because it's not a rewards for purchase program. It's an app that allows you to connect with the people around you who have free food to give away. Olio also allows you to share and accept free non-food items. Olio's purpose is to reduce waste, especially food waste, by letting neighbors and even local grocers and vendors connect with their local community to share free, excess food. The app is free to download and use, as is the web app. And all of the food listed as available for pickup are free. All you have to do is arrange how, when, and where you want to pick up the free item from the person giving it away. Unfortunately, even though the app can be used anywhere, and has been used in over 32 countries, there may not be enough participating vendors and Olio users in your area. You may still have to wait for the app to catch on in your area before you can really use it.